Here’s an easy homemade cough remedy that you probably already have the ingredients for. It’s a honey onion syrup–before you get grossed out, it doesn’t taste like onions when it’s done. Really. 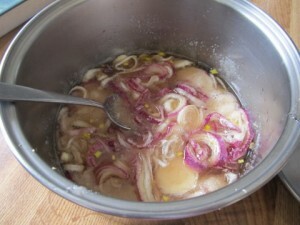 And you just use the honey syrup, you don’t actually eat the onion pieces (although you could if you love onions). We’ve been having some coughing and sore throats among the little people lately, and my husband remembered his dad making this for him so we thought we’d give it a try. 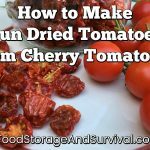 Check out my post today at Utah Preppers for the whole how-to!